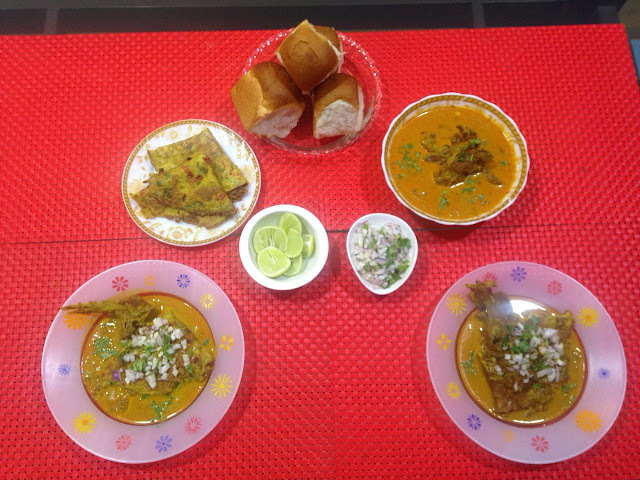 Ros Omelette, also known as Ras-Omelette, is a very popular snack and one such street food of Goa that is totally mouth-watering and NOT to be missed! 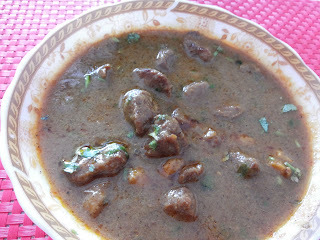 A holiday in Goa is not complete without having this popular street food and that too, multiple times during our stay! 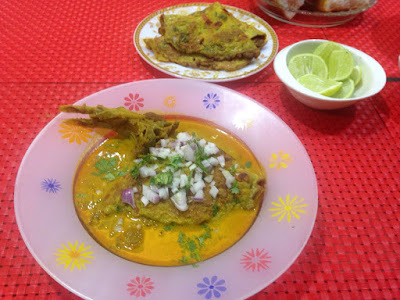 Ros-Omelette is basically a nice yummy fluffy omelette that is served with a spicy mutton/chicken coconut gravy, otherwise known as 'Ros'. The Ros can be prepared in advance and refrigerated until its time for meals. 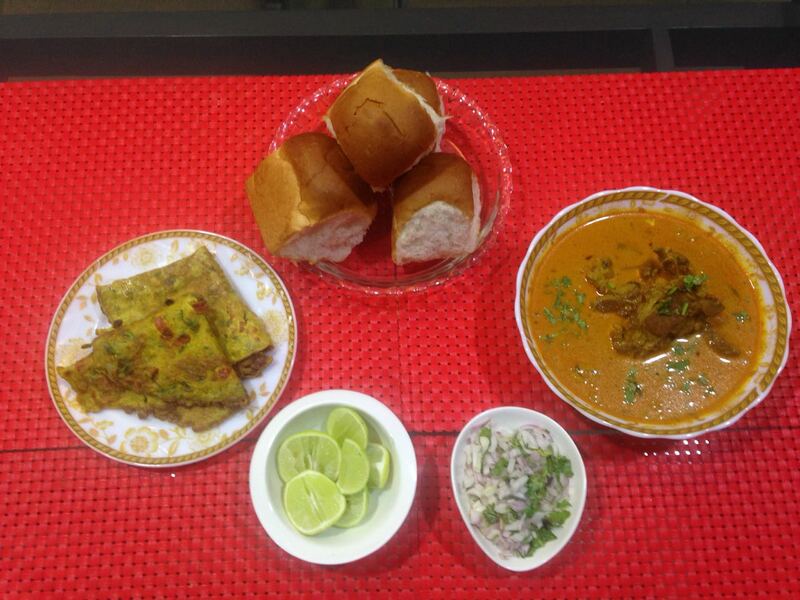 Then , quickly prepare the omelettes and serve it with the steaming hot Ros along with Goan Pav ! 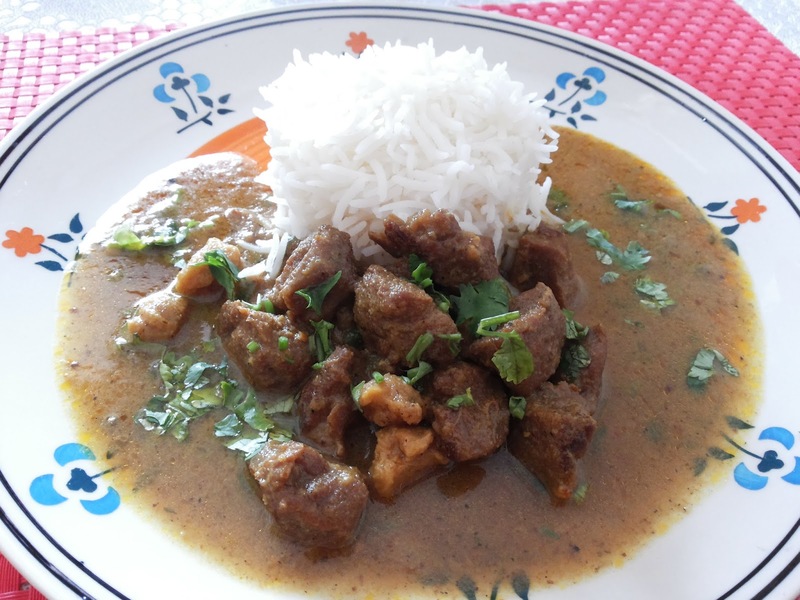 Goan Mutton/ Chicken Curry will do to relish this simple, easy to make dish! A similar recipe for Goan Mutton Curry is uploaded already on my blog. I made a similar curry, but used more of coconut milk for the gravy. 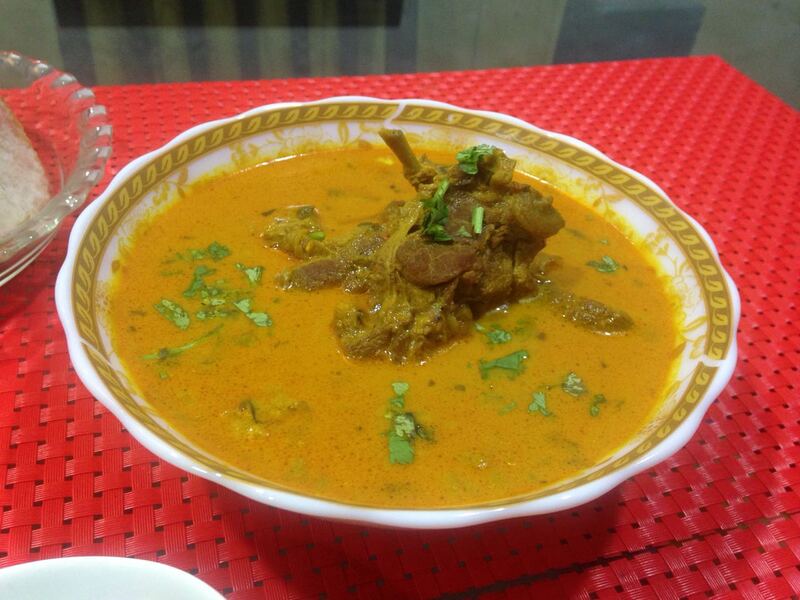 Heat up the mutton curry and keep aside. In a large bowl, beat the 8 eggs till light and fluffy and fold in all the ingredients, except the oil. In a skillet, heat up 2 tbsp of the oil. the oil should be hot enough, but should not smoke, otherwise the omelette will fry quickly on the outside, but not cook from the inside. Note: If the oil is less in the pan, the omelettes will not become fluffy and will tend to be dry out while cooking ! Pour a ladle of the omelette batter into the oil. Cook the omelette on both sides, only turning it once. Continue frying all the omelettes. Avoid stack the omelettes to ensure that that they do not flatten out. 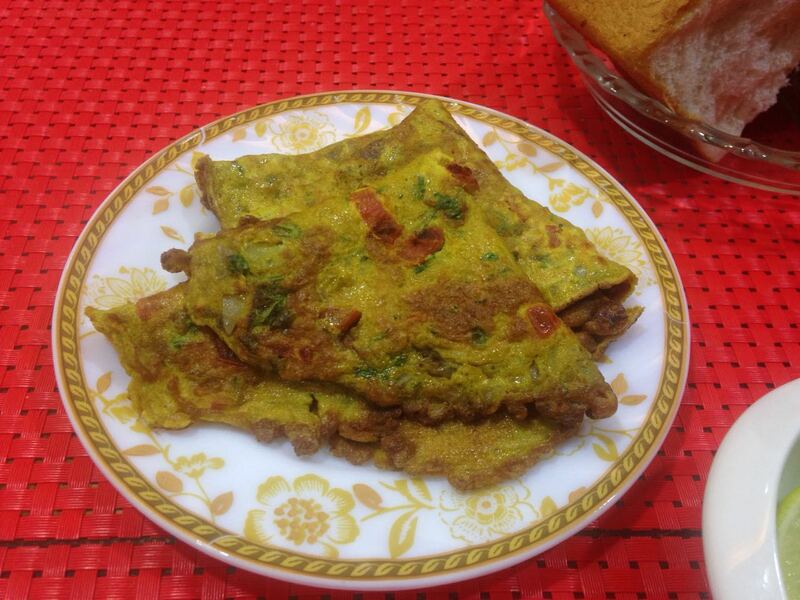 To assemble this dish, take a deep plate and put the omelette at the bottom. Pour a ladleful of the steaming hot mutton curry from the top. 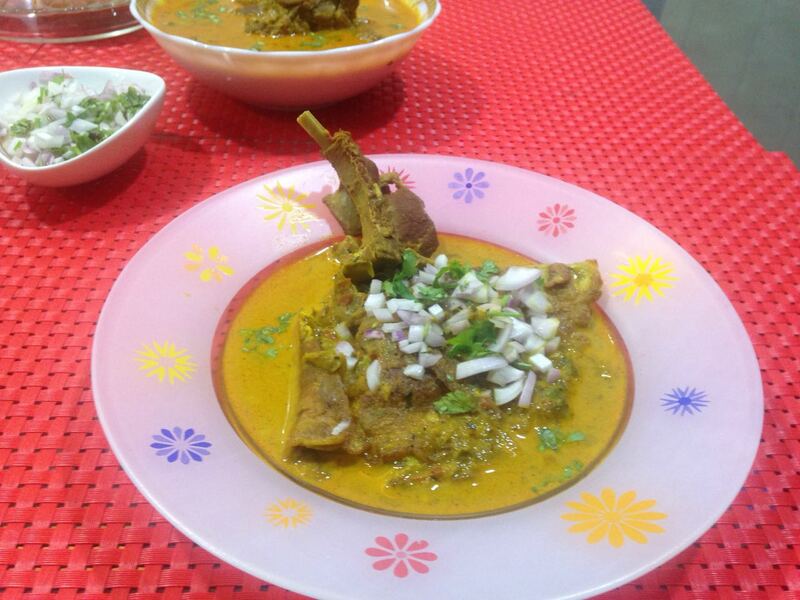 Garnish it with chopped onions and coriander with a twist of lime. Serve hot it with Goan Pav!